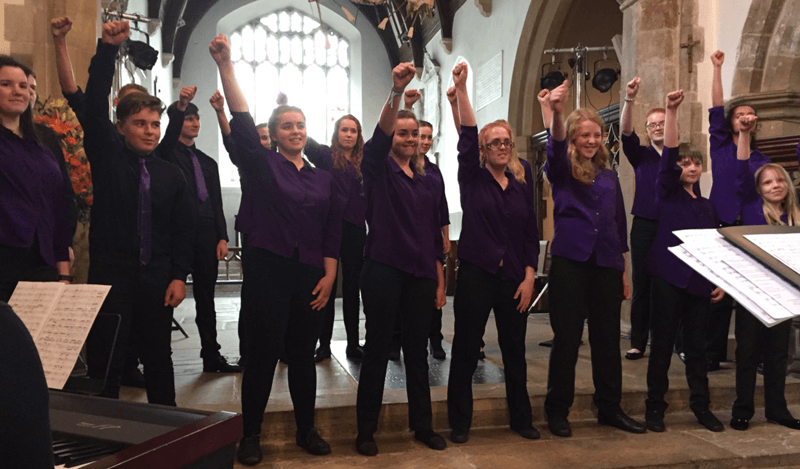 North Worcestershire’s premier youth choir is looking for new members aged between 11 & 19 years old! 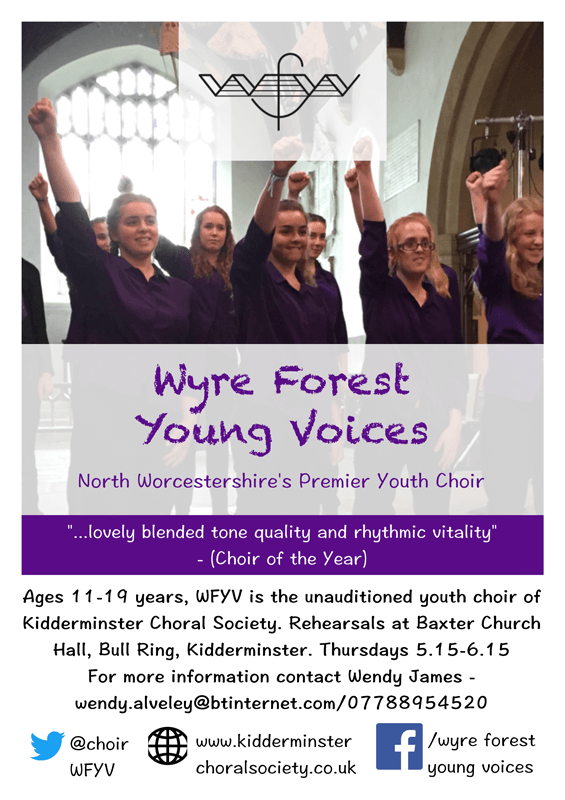 Wyre Forest Young Voices (WFYV) is the unauditioned youth choir of Kidderminster Choral Society where the aim is to create singing opportunities for young people through musical performance and to provide a practical musical education. Our rehearsals are at Baxter Hall, Bull Ring, Kidderminster on Thursdays from 5:15 – 6:15. Interested? Get in touch with Wendy James on 07788954520 or email here.